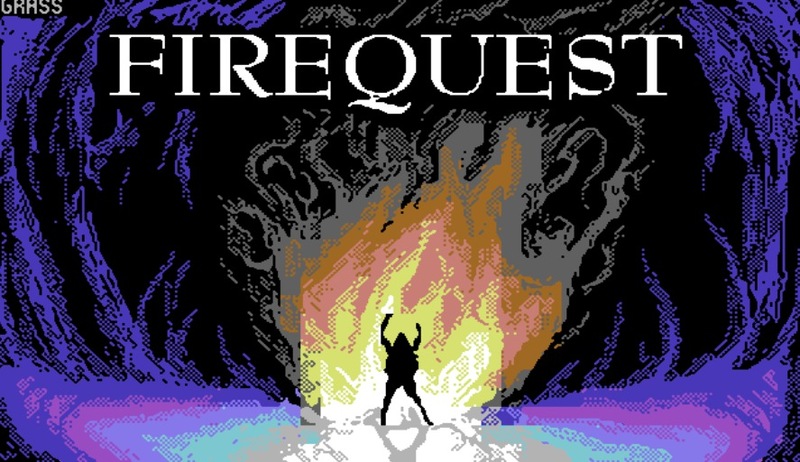 It's time to give the C64 some love now with the latest C64 trainered game ' Firequest +6DGF' released by Hokuto Force. Originally released way back in 1984 by Chris Morris, the aim of this game is to traverse the 7 difficult levels as the character UGH in search of fire. Most likely because he's a bit hungry and needs to cook those sausages. Thanks to Hokuto Force not only have they bugfixed Firequest, but they've also added additional graphics, a brilliant cracktro, included a +6 trainer and as an added bonus it's now NTSC fixed. I would class Firequest as a bit of a special game, it is a mix of adventuring and platforming with quests all rolled into one. You begin at each level on one side and must complete a set amount of tasks throughout to move on to the next. 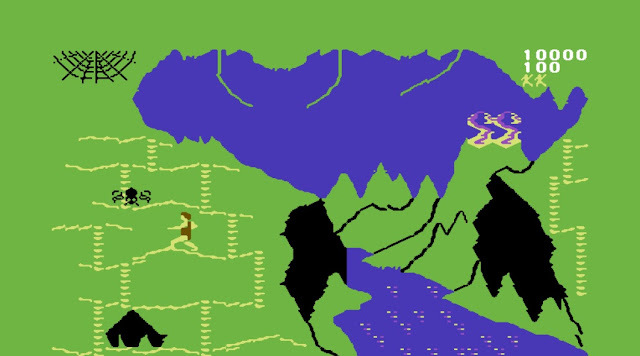 For example on the first level, you have to climb to the top while avoiding spiders, grab the vines, swing across, climb back down and then into the mountain cave it self. And that's just the first level adventure! As on the next one it will be completely different! It really is one of those games that you just keep coming back to, it is highly challenging trying to solve certain parts of each adventure without falling off or being tickled *ahem* by spiders, and those animated graphics really add to the charm of this game. I especially like the flames flickering in the background, the spiders crawling about trying to find their next meal, the overall look of the game and that music which can be turned off for sound effects. So worth a play? YES very much so, just don't expect to complete the first adventure without dying more than once.